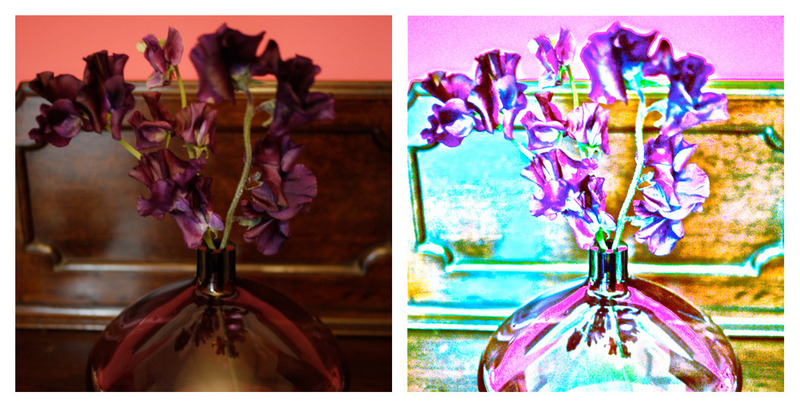 I tried to take a picture of some dark purple sweet peas I bought earlier in the purple glass vase I’d put them in. But none of the pictures worked out that well because I was hurrying. So I did a little bit of playing in iPhoto with the colours to see what I could make of it. You can’t make a rubbish photo great with editing software but you can make it look a bit more interesting and fun.